More infos: it’s better to cover the pot with a freezer bag. 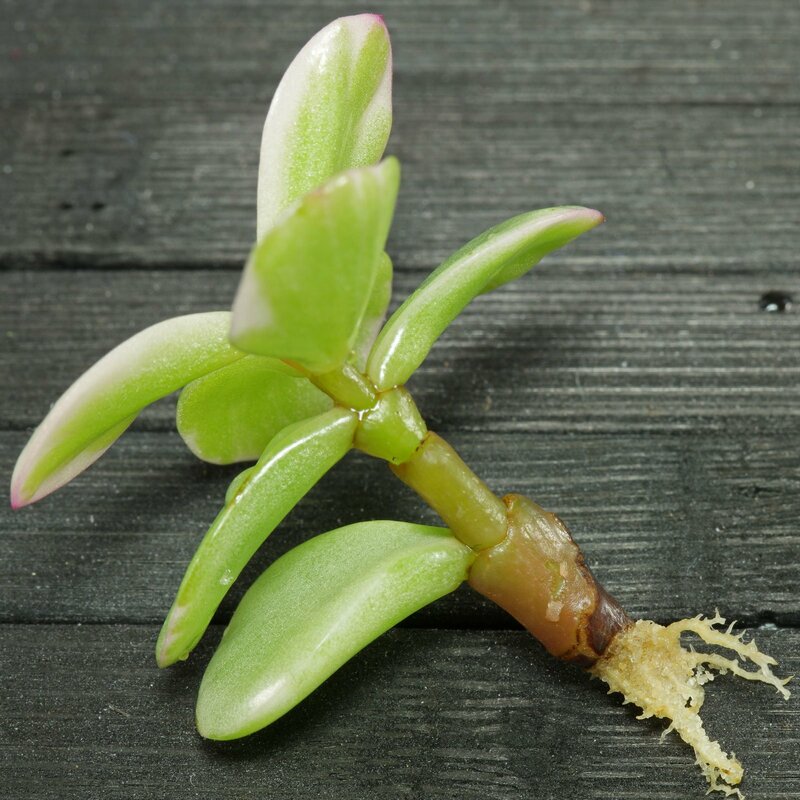 The images are showing the cultivar Portulacaria afra “Variegata” which isn’t a fast rooter. 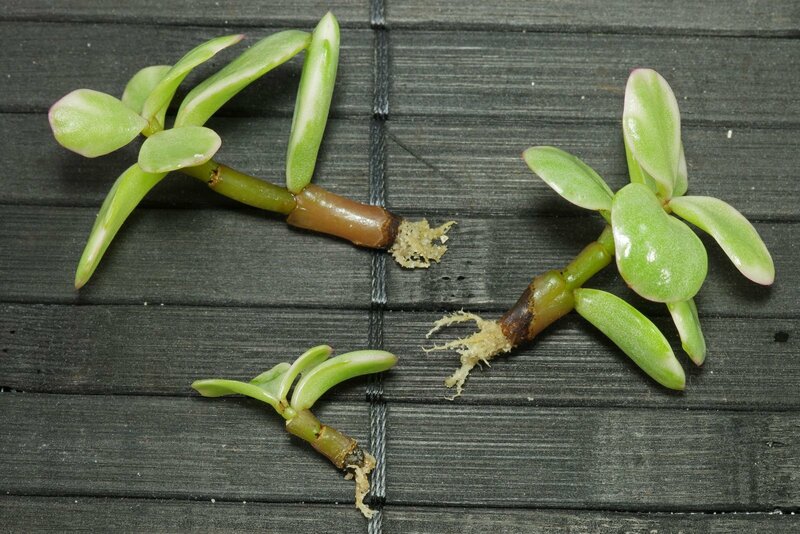 Probably the green leaved wild type is rooting faster.